Today's moms perfer Montclair menthol 100s. They're safer for baby's lungs. Well, I don't think so, how is possible that a baby had been used to this kind of porpaganda? ¿¿ Malboro ?? ¿Ni siquiera sabes escribir algo que copias directamente? We found the "Before you scold me" one in a book of ads from the 1950's and immediately put it on a shirt for our infant daughter. When we were in public, I would watch people read the text and then look confused. I have seen these early Marlboro "baby" ads a long time ago, and actually laughed. 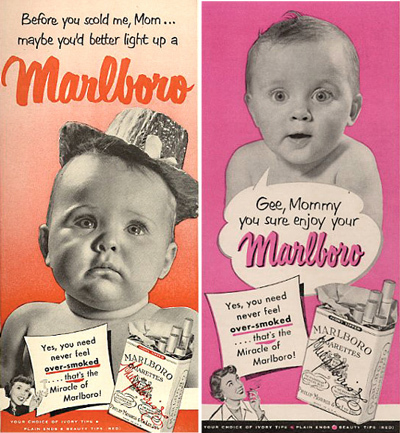 I often wondered if the babies in these early ads grew up to become "Marlboro Men". 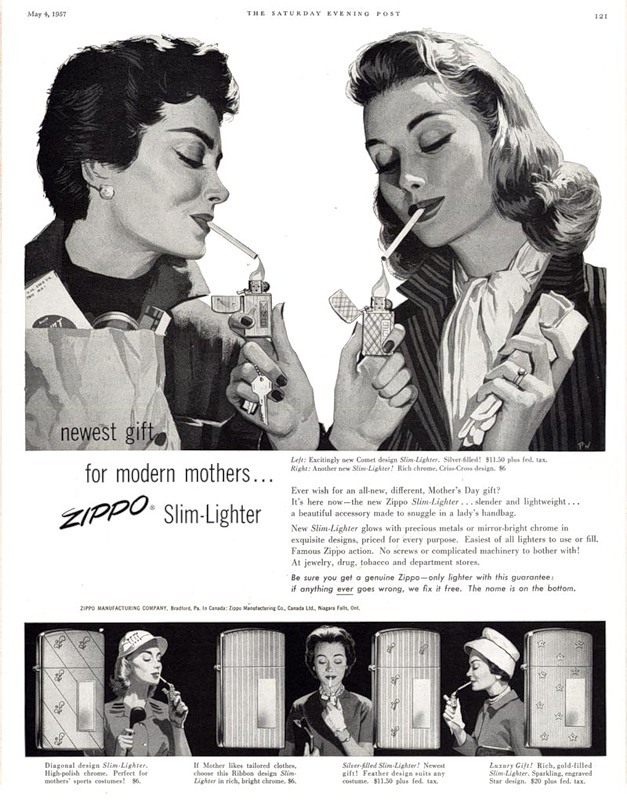 And the Marlboro presented in these ads was the first incarnation of the popular cigarette, as a regular-sized non-filter. The familiar filter-tipped Marlboro in the familiar red-and-white pack did not appear until the mid-1950's, which, I believe, replaced the original non-filter Marlboro.